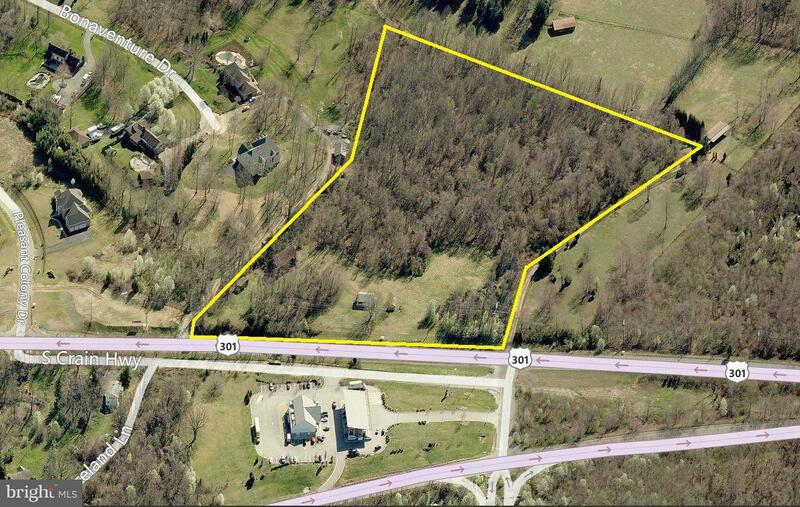 Two parcels (Parcel 104 and 79) totaling 12.46 acres zoned R-A (Rural Residential). RA allows for large lot subdivisions (Max Density - 0.50 units/net acre). Zoning also allows for a variety of other uses such as churches. Well and Septic. 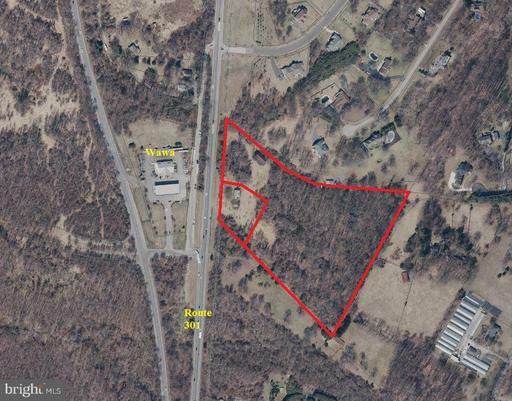 500' +/- of frontage on Route 301! Northbound Route 301 (Crain Highway) just south of its intersection with Pleasant Colony Drive, directly east of the Wawa gas station. Centrally located in Prince George's County just minutes south of Route 50. The approximate monthly Principal & Interest payment for this property would be $2,463. This payment is based on a 30-year loan at a fixed rate of 4.12 % with a down payment of $50,000. Actual lender interest rates and loan programs may vary.